A new mega-mall has opened in Melbourne’s east. Here’s what you need to know. If we’re being honest, Ringwood isn’t a place we’ve dedicated much attention to in the past. 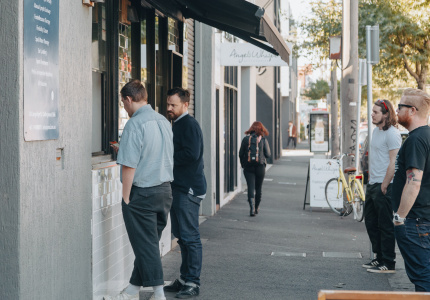 While there are some great neighbourhood restaurants that way, it’s often considered a suburb on the fringe. Things are changing, though. In fact, developers have bet $665 million on it. Last week, Eastland Shopping Centre re-opened with a major revamp following two years of construction. 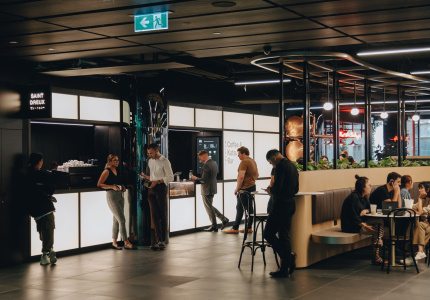 No longer a daggy suburban complex, the new Eastland brings serious high-end retailers and cult food outlets that have previously been reserved for inner-city dwellers. For better or worse, this new shopping centre is a big change for this area of Melbourne. Here are our picks of what to check out when you stick your nose in. 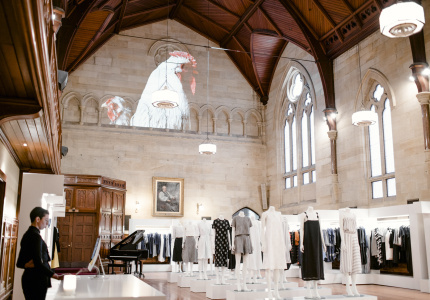 Alpha60 has been one of Melbourne’s favourite independent labels for more than 10 years. 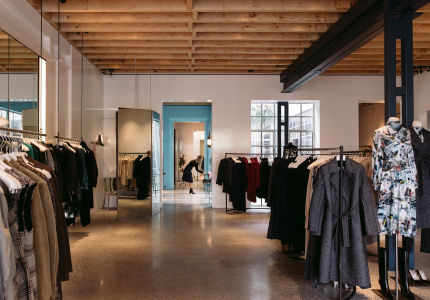 Now the minimalist brand that plays with texture, asymmetry and androgyny has a home in the city’s outer east. “It’s a good introduction to new people who may never have found us,” says Alex Cleary, one half of the brother-sister duo behind the brand. 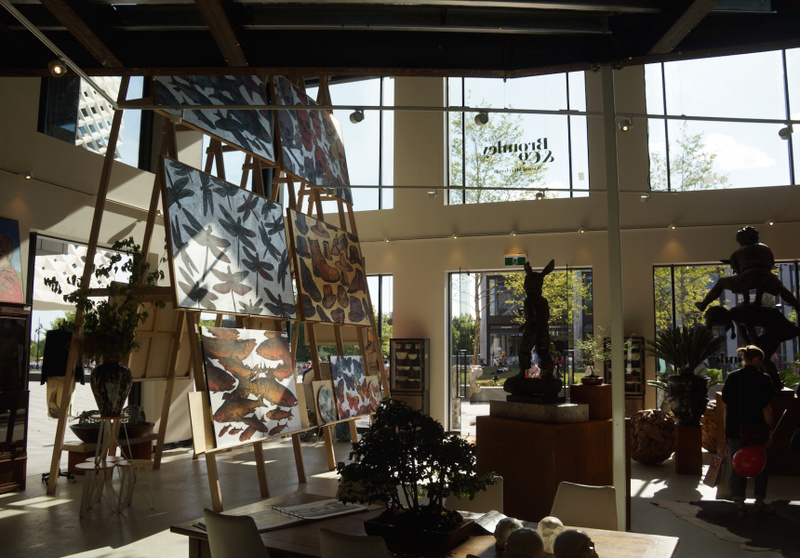 With showrooms in London and Paris, it’s a bold move to head out into the suburbs, but Cleary is confident. “Our customers used to live [in the] inner-city, but house prices are sending people further afield,” he says. He also adds that the representation of Australian designers at Eastland was a selling point. The Australian beauty retailer dips its toes into the new Eastland with not one but two outlets, right opposite each other – a Mecca Cosmetica and its sister store, Mecca Maxima. 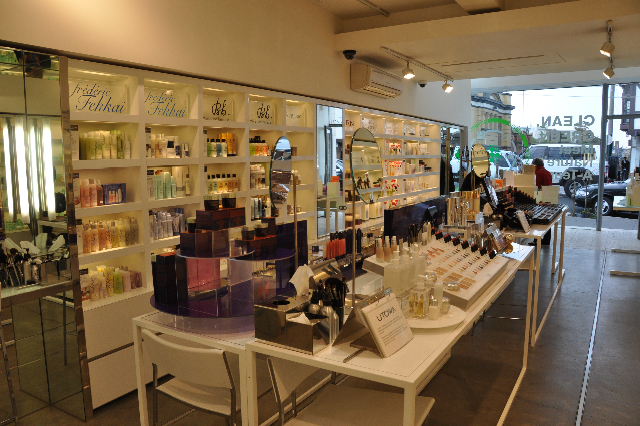 The boutiques are stocked with brands such as NARS, YSL and Urban Decay for all the goodies you need. Among the monochromatic hues of other Australian designers, the rainbow colours of Gorman are hard to miss. 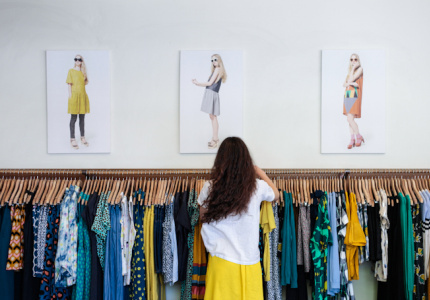 Never a label to shy away from personality, the whimsical collections from Victorian owner and designer Lisa Gorman are pioneering sustainable Australian fashion, and are a welcome addition to the leafy outer suburbs. Where would luxury fashion be without a Scandinavian addition to the pack? Finnish label Marrimekko brings its timeless, colourful prints to the new centre with its fourth Australian store. Affordable, high-quality basics are abundant at Eastland. The Japanese retailer brings its iconic puffy down jackets and cashmere sweaters to the east; and was one of the first brands to announce its partnership with the new centre. 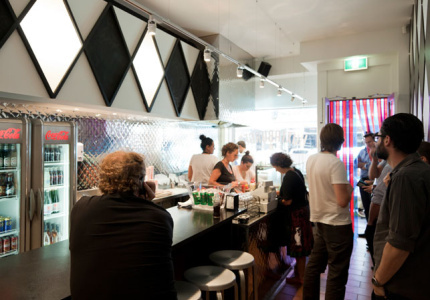 George Calombaris’ interpretation of a traditional Athenian souvlaki bar can be found at Eastland in the form of its first “deluxe” restaurant. It features an expanded menu of grainy salads and fancy cocktails to add to the staple souvlakis (read: the ones filled with chips). 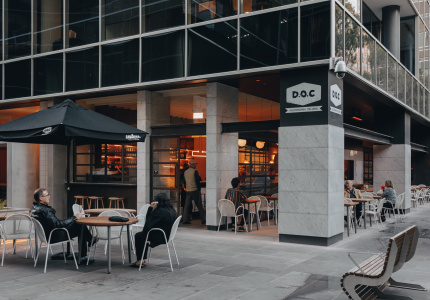 “While our first Jimmy Grants outposts have been more central to the city, it’s always been our idea to bring Jimmy to the people,” says Lauren Calleja, a spokesperson for Calombaris. 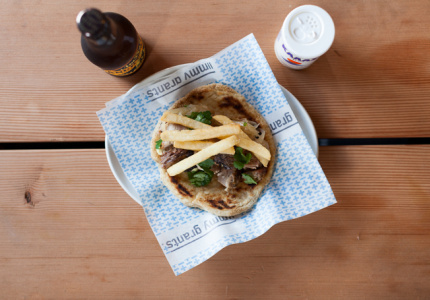 Jimmy Grants is also expanding to Williamstown early next year. This bakery is your stop in the centre for high-quality sourdough, croissants and baguettes. Owner Phillip Chiang was French-trained in Tokyo, bringing an interesting Asian influence to his baked goods. 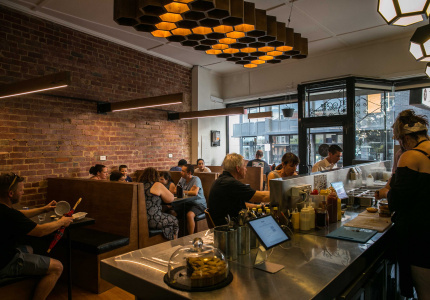 This restaurant bar is a new venture from the people behind The Meat & Wine Co. "I love what Eastland is doing for the outer suburbs," says project manager Steve Scott. 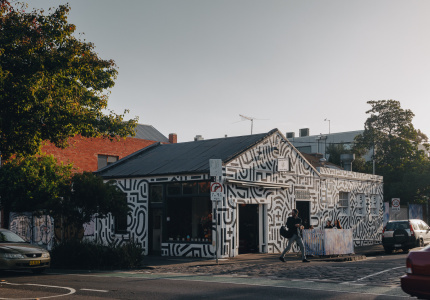 "We loved the idea of bringing a CBD experience to the suburbs." You’ll find a range of wines, craft beers and barrel-aged cocktails served with sharing platters, hearty stews and pies. 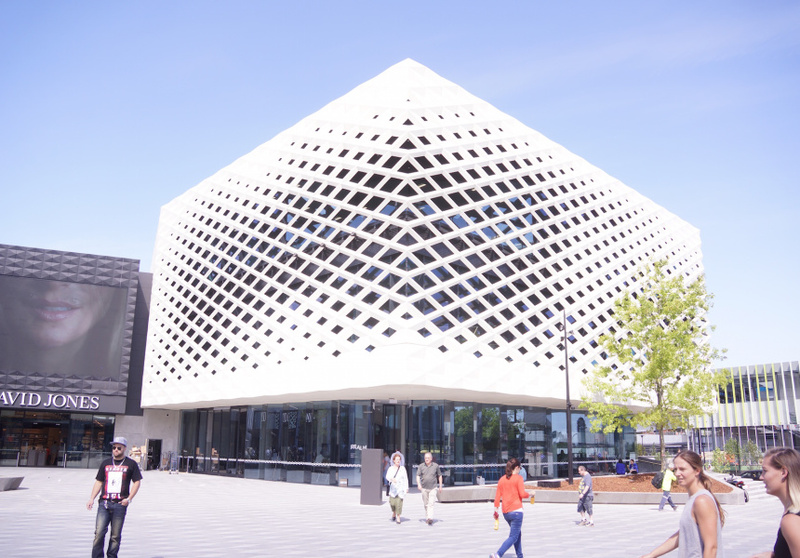 It’s already been hugely popular since the centre’s opening last week. It’s a scientific fact that there aren’t many things better than Mexican street food. 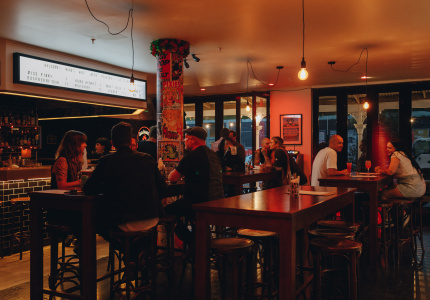 Here to trump Eastland’s previous offerings of bland, inauthentic chain restaurants is Paco’s Tacos, straight from Melbourne’s CBD. 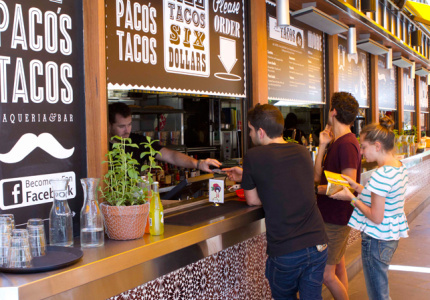 It’s fairly inexpensive and there are plenty of options for everyone – with gluten-free and vegetarian tacos as well as nachos, barbeque corn and churros. This is the very definition of the dream – now without pesky travel time into the city. The steadily expanding burger chain has found a new audience in the outer east with its fourth permanent outlet. It seats 100 diners, and features a new exclusive house brew from Holgate Brewery. Eastland Shopping Centre is now open at 171 – 175 Maroondah Highway, Ringwood.